The SBS Entertainment award was held earlier to celebrate another successful year. The biggest winner of the night is none other than ‘National MC’ Yoo Jae Suk, who won the coveted Daesang for the second year running for its successful Sunday variety program 'Running Man'. In addition, he also clinched the viewer's choice popularity award. 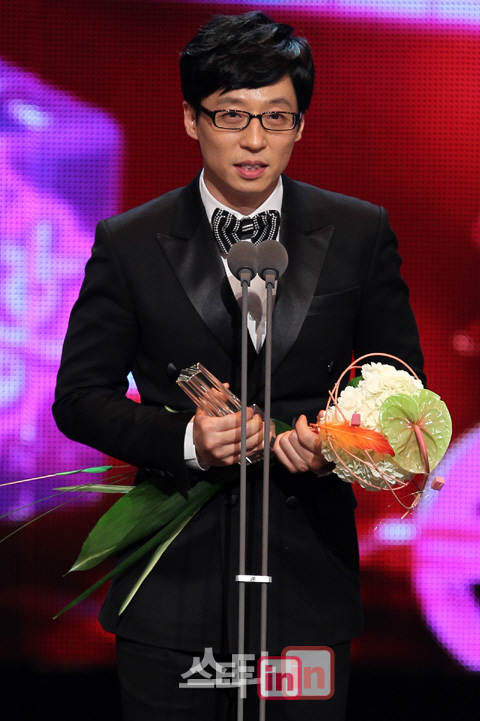 The other winners of the night were Gary and Ji Suk Jin who won the excellence awards (variety category). The rest of the Running Man did not win any award but we can see how supportive are they towards each other. 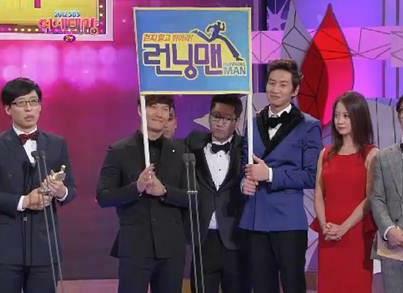 Kim Jong Kook is the presenter for the best couple award. HaHa is one of the MC of the event. Song Ji Hyo look pretty in a red dress. Although, Kim Jong Kook, Haha, Song Ji Hyo and Lee Kwang Soo left empty handed, I still enjoyed the event. Anyway, they had won the awards in 2011; therefore, it is time to encourage the rest of the entertainers. That night, all the awards were distributed evenly and the award show was presented in a proper and glamorous manner. All the celebrities graced the event with a cheerful heart and those who did not win any award, supported their teammates. 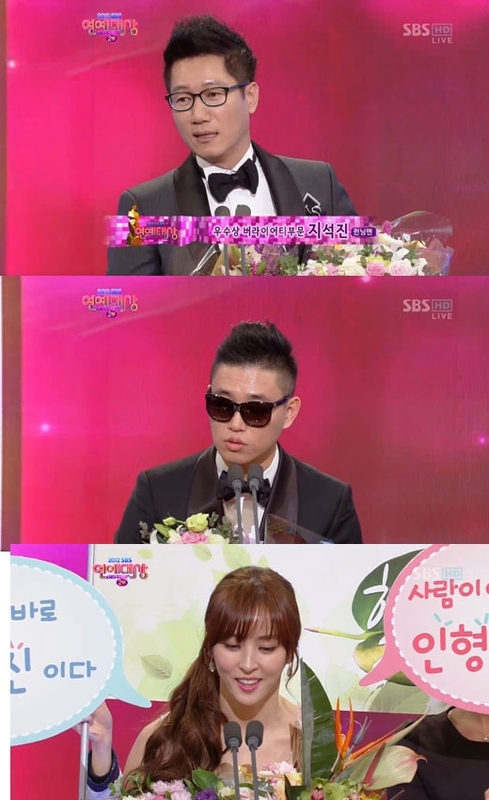 I liked the acceptance speech of Gary, Ji Suk Jin and Yoo Jae Suk. With this in hand, I’ll run even harder. Even though we’re having a tough ratings battle right now [against competitor programs], I think the real competition is the ability to deliver laughs. That’s all I will think about.